Mom knows best…because she said so! 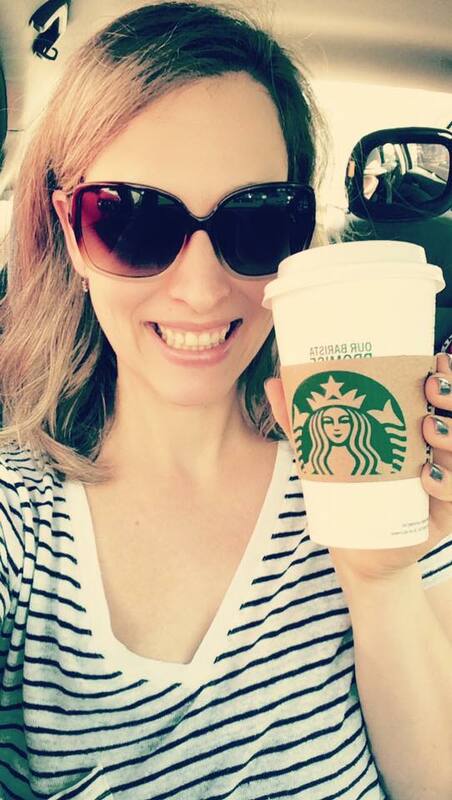 Have you tried the new Maple Pecan Latte?! It’s amazing – and the first thing I knocked off my Fall Bucket List! Fall is, without a doubt, my favorite season. Although now that I live in the South, fall doesn’t feel much different than summer until we hit at least mid-October. But that doesn’t mean that I’m not fully embracing this new season with pumpkins and leaves and scents of cinnamon, nutmeg and clove! 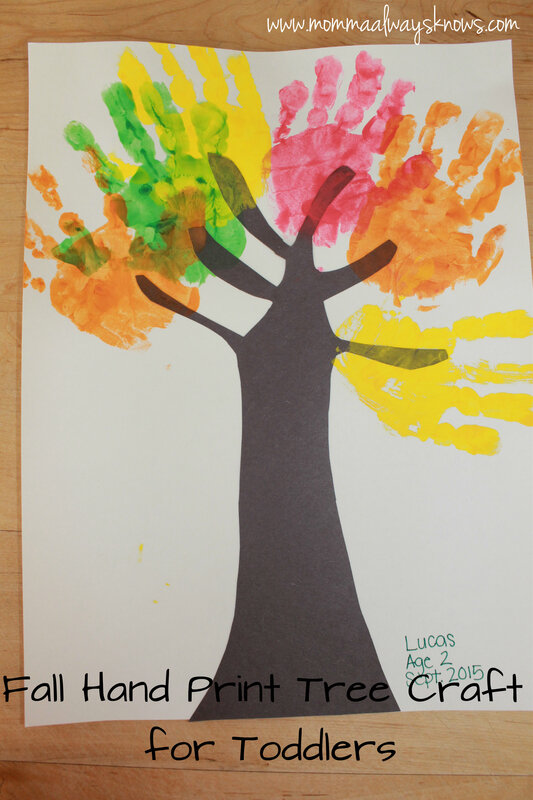 It also means that I’m starting to do more fall activities with the boys, especially Lucas! I feel like I spent a crazy amount of time last year looking at fall activities for toddlers and preschools but never did them. Now I have this mish-mash of ideas in my head and have decided to just roll with them! 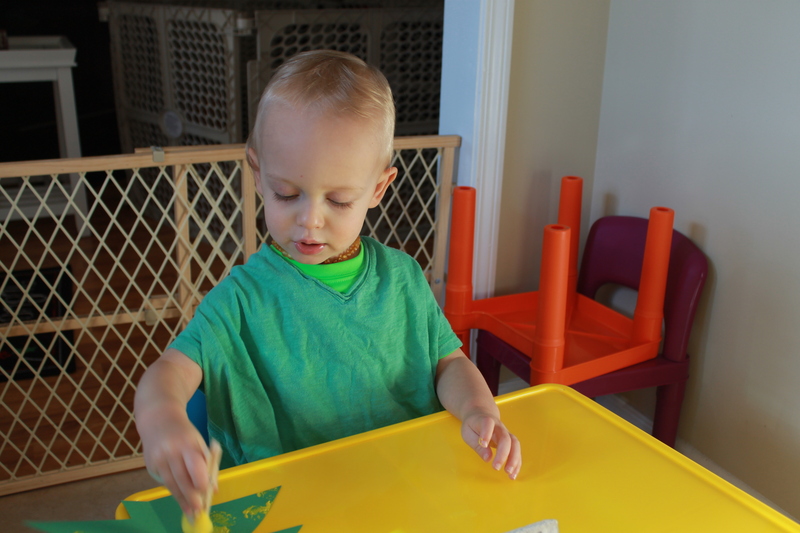 I also like have “non-traditional” learning activities planned for Andrew’s nap time since Lucas isn’t as into letters and math and writing in the afternoon as he is in the morning. This one was a totally winner! And super easy to set up. Both boys love to eat corn on the cob so I thought we’d do something fun with ears of corn! Plus the texture of the kernels makes really cool patterns. 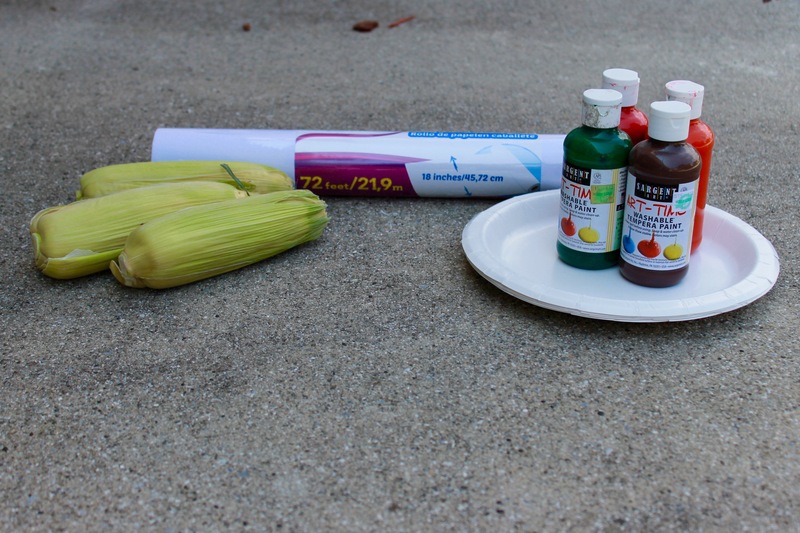 You’ll need a few ears of corn (with the husk on preferably), paper plates, fall colored washable paint and a roll of paper – all of which we had on hand except for the corn! 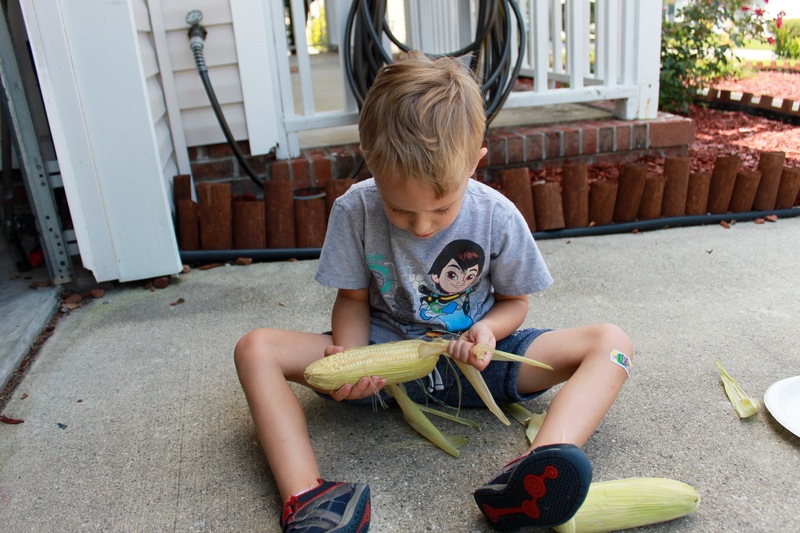 Anyway, first we husked the corn and Lucas thought that part was super neat – maybe that means I’ll have a helper in the kitchen next time we have corn on the cob for dinner. 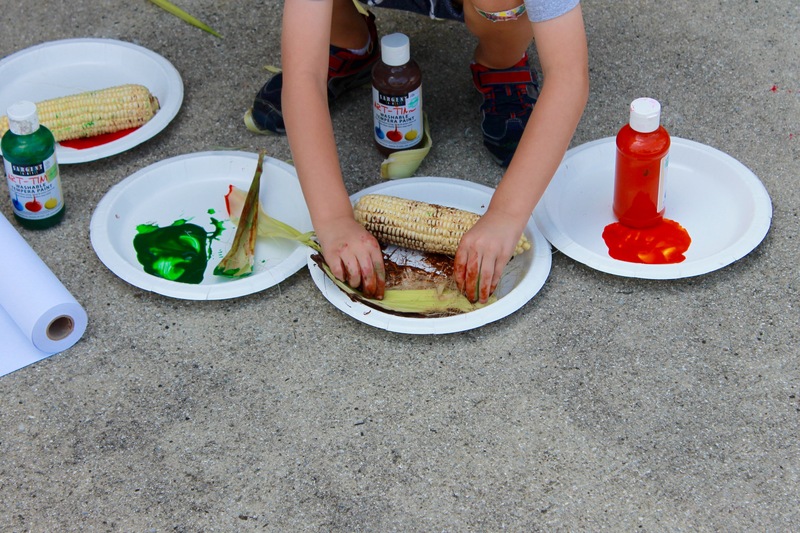 Next I let him roll the cobs in paint I had put on paper plates and then we just rolled and rolled and stamped and stamped with different colors. 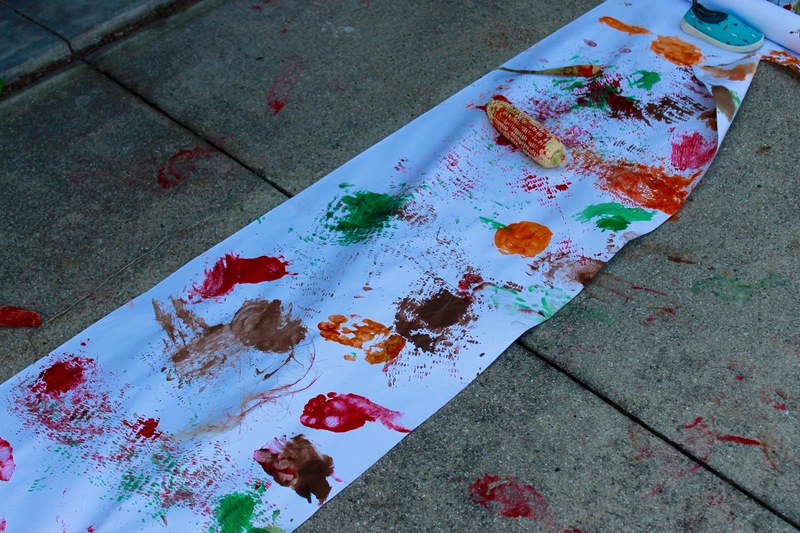 We talked about how it felt “bumpy” when we rolled the corn and what pattern they created. Then I just kind of let him have free reign to do whatever he wanted. He ended up using the husks like a paint brush and then added the silk to make it even more brush like – watching him roll the silk in the husk was super cool! I love seeing him create and solve problems on his own. We drew pumpkins and rocket ship and dogs and spookies. Then he decided he wanted to use his hands and feet! 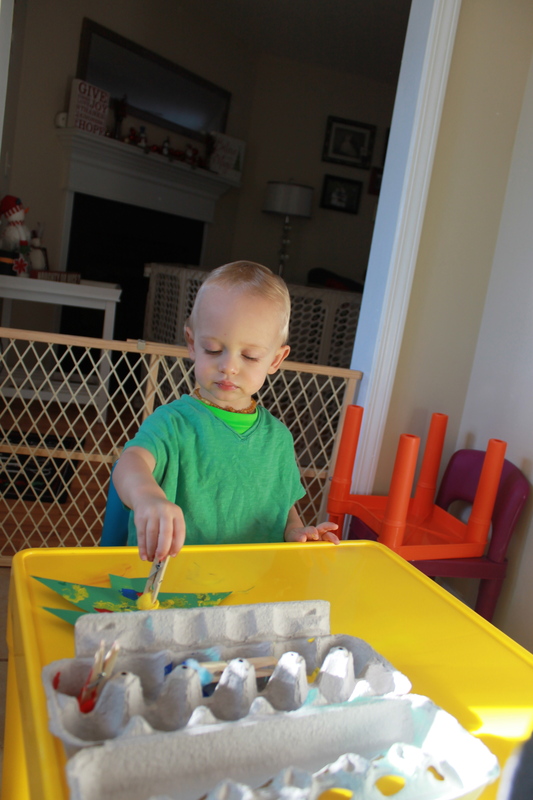 It gave us another chance to talk about texture and how wet and squishy the paint feels on his hands and toes! Oh and to make a mess – a HUGE, SUPER FUN MESS! Needless to say he was COVERED in paint by the time we were finished – thank goodness that paint is washable. And that we were outside because he got a major squirt down with the hose. 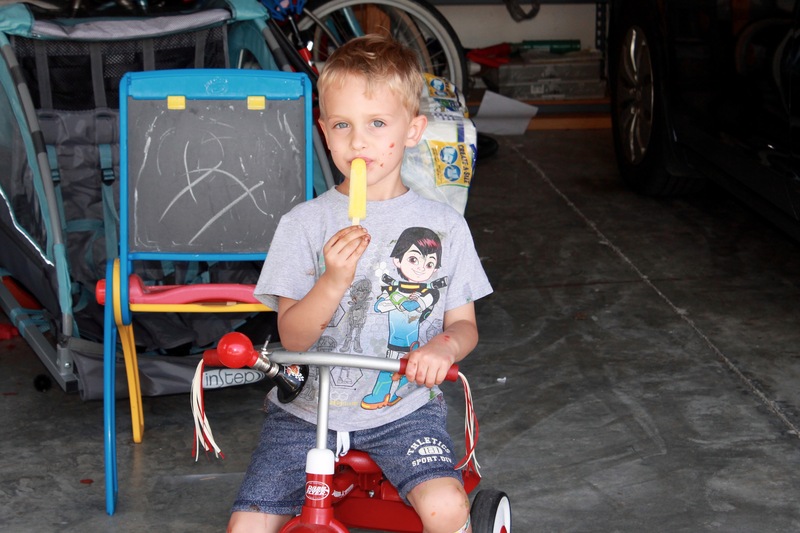 While we watched his creation dry (and I cleaned up) he enjoyed a banana popsicle – because even though we’re doing fall activities it’s still 90 degrees here! Have you started doing fall activities with your toddlers and preschoolers?! Do you have a favorite? I’d love to know what you’re doing with your kiddos this season to share links, Pinterest boards, or just let me know in the comments! 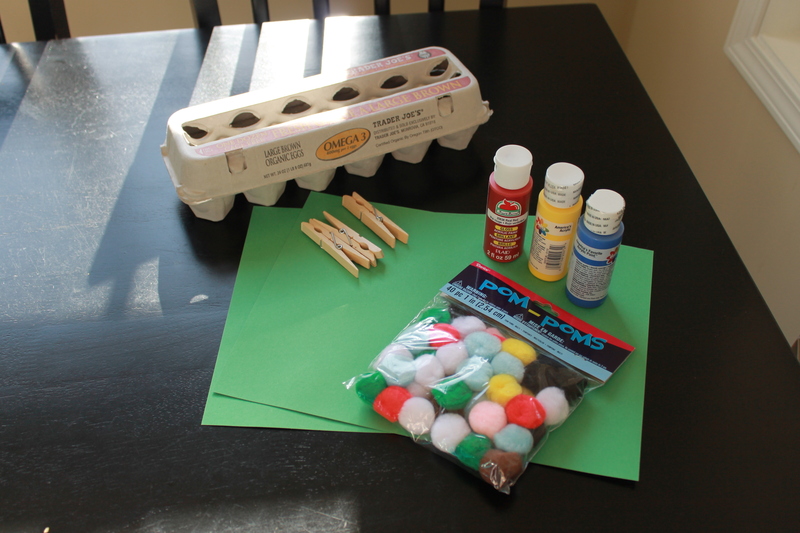 A “Math” activity – more like counting, sorting, measuring, etc. A Coloring Page or Another Craft if I can come up with something. Again, don’t put a ton of pressure on yourself – especially with a 2 year old! I don’t do those things every week (as you’ll see) and sometimes we really fall behind. I always start with a letter craft. This week we made a “C” Caterpillar. We used lots of glitter (Lucas was very into glitter that week) and poms and pipe cleaners. 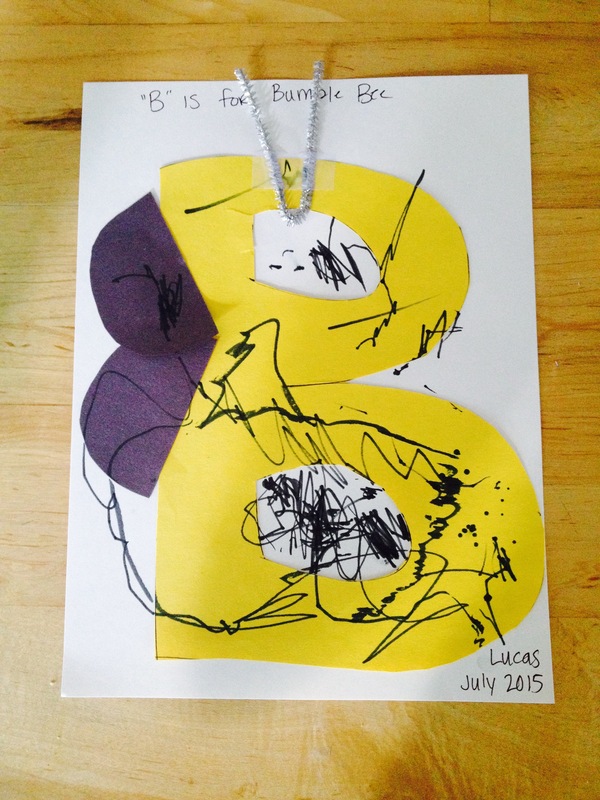 It is certainly the work of a 2 year old – and I LOVE it! 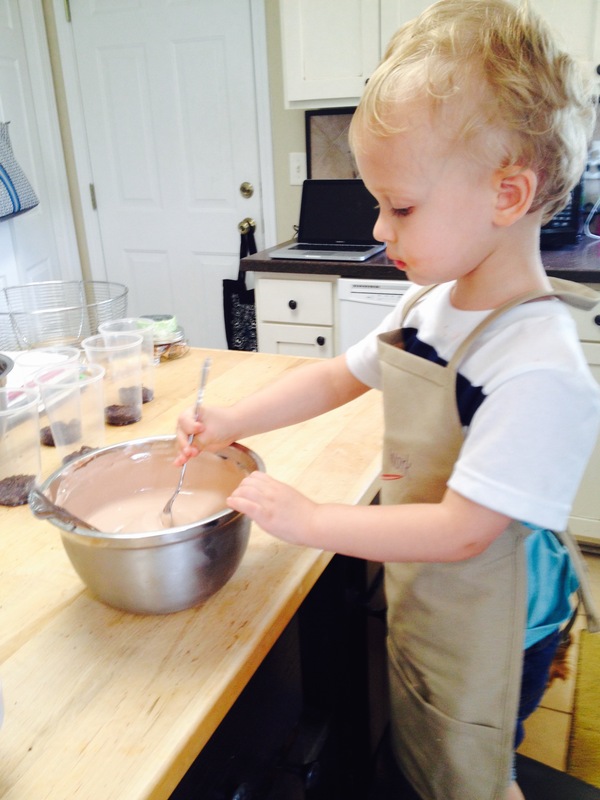 For our cooking activity we made Cookies – not even CLOSE to being original but Lucas likes stirring things and they’re pretty easy to make. We did chocolate chip cookies actually for lots of “C” goodness. We also had a Car Wash! 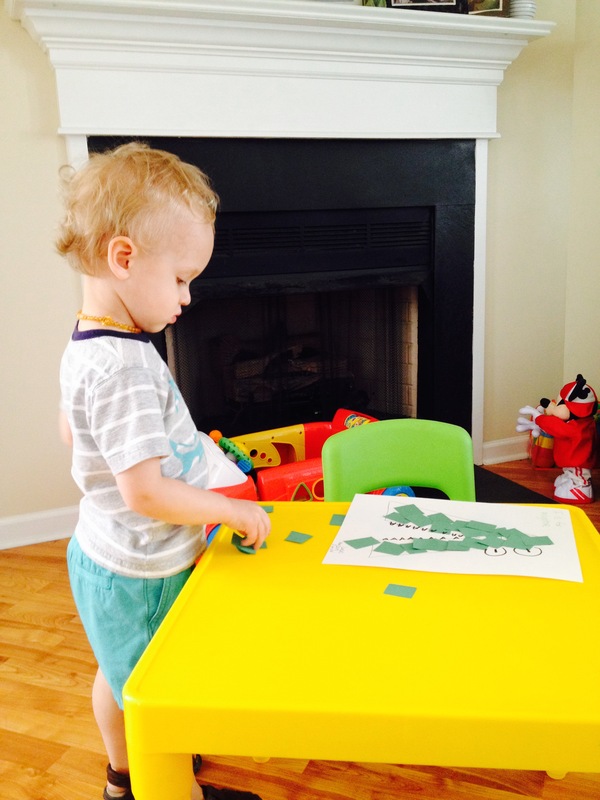 It was super easy to set up and really entertained Lucas – like for a LONG time (which is awesome for a toddler mom). We got a little wet, but hey, it’s just water! 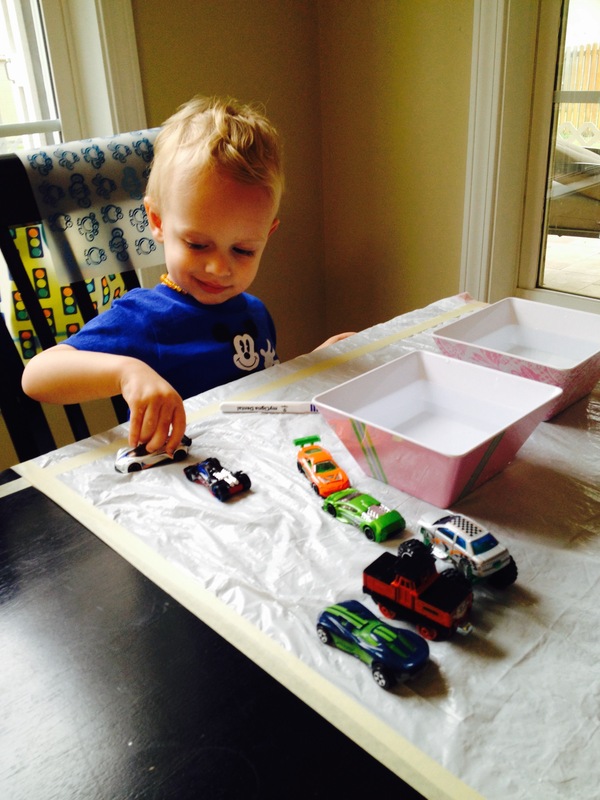 We took some of our matchbox cars and a few bowls of water and a brush. It was easy as that. Easy activities that provide a decent amount of entertainment time are winners in my book for sure. 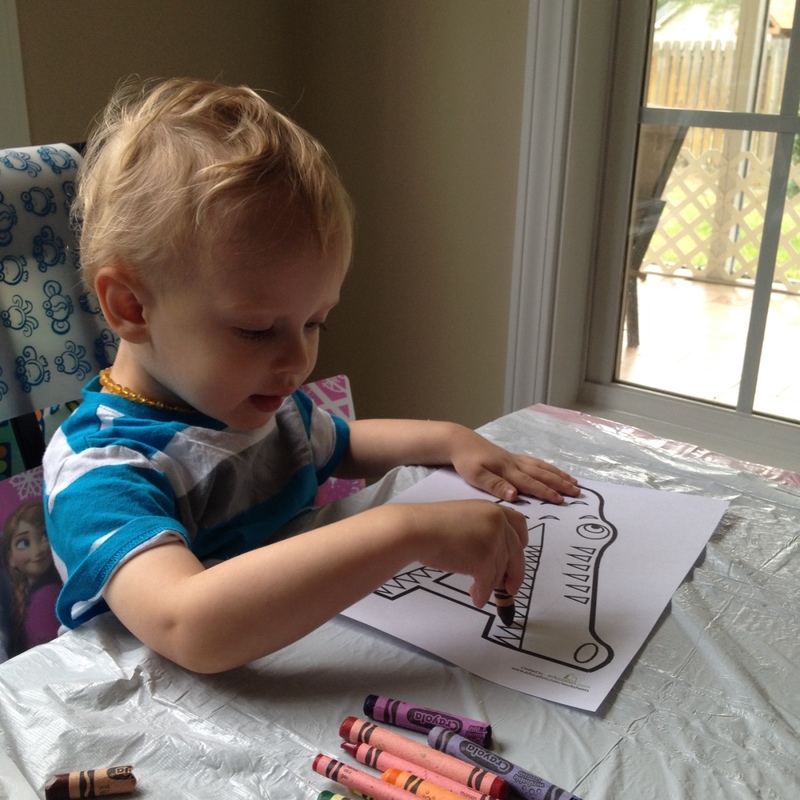 Coloring pages found at education.com are easy and we love to color! Finally we did some counting activities. 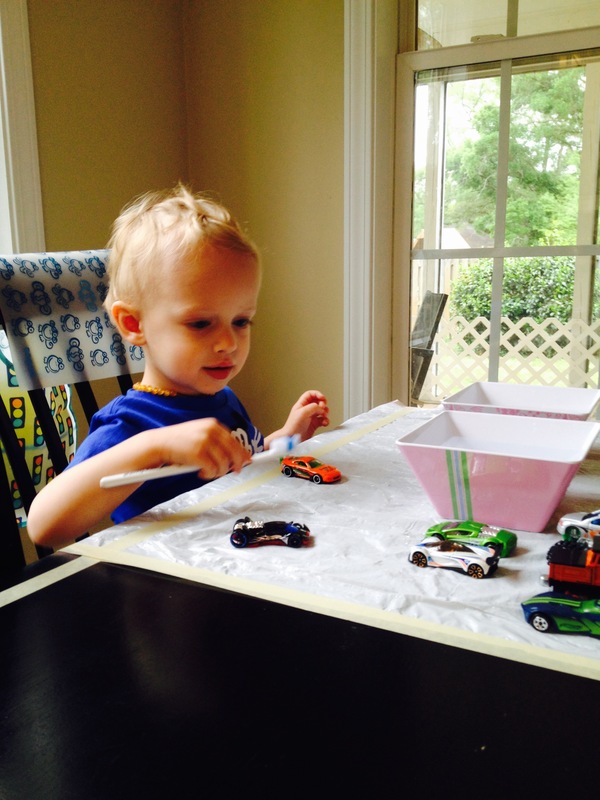 We sat down and counted everything we saw…his cars, his books, his stuffed animals. All very easy activities but it gave us a bit of structure to our day and made learning fun! “D” was a fun week for us! 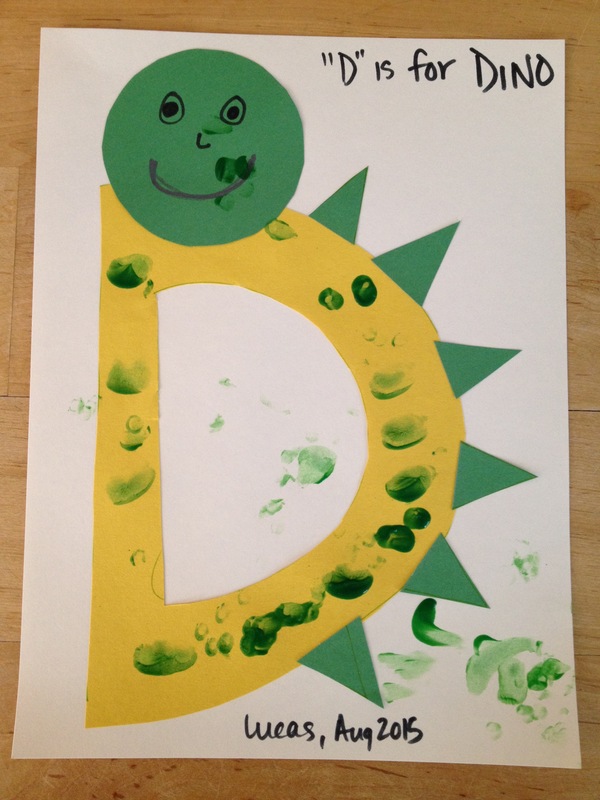 We made a Dinosaur out of the letter D. Some green construction paper, paint, eyes and glue and we were good to go! We did a Dino Dig for our sensory activity. 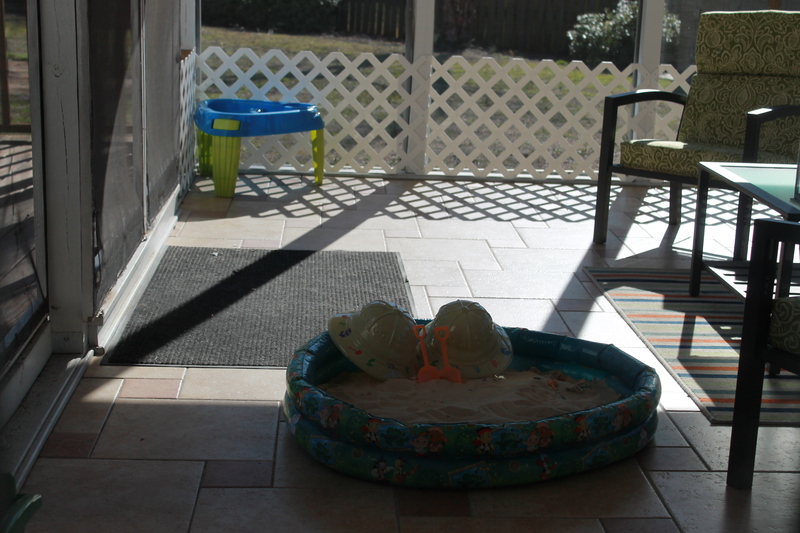 I had set up the exact same thing for part of his second birthday celebration so I just recreated it (the sand was still in the pool at that point)! He loved digging for the dinosaurs. 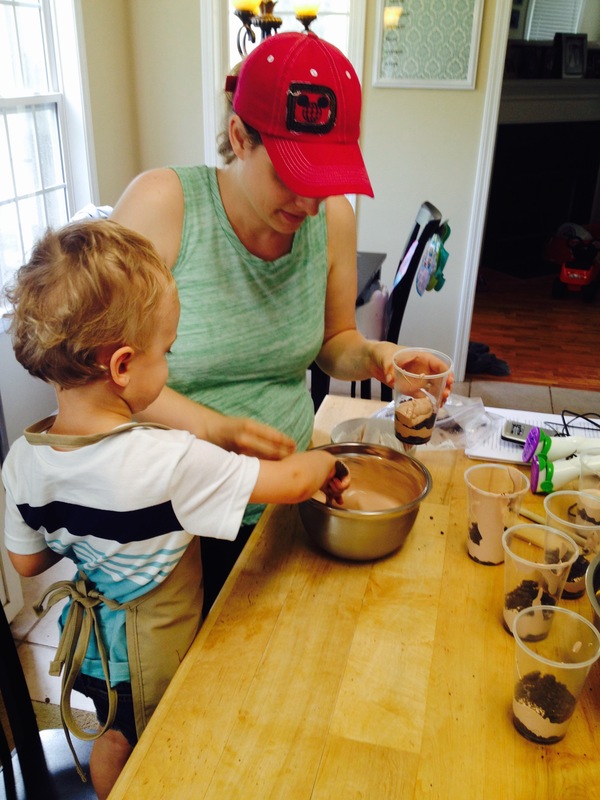 For our food we made Dirt – yes that Dirt that we all grew up with at birthday parties at school. Smashing Oreos, mixing pudding, spooning everything together was really, really fun for us. I used the recipe found here as my guide (although we didn’t use gummy worms)! 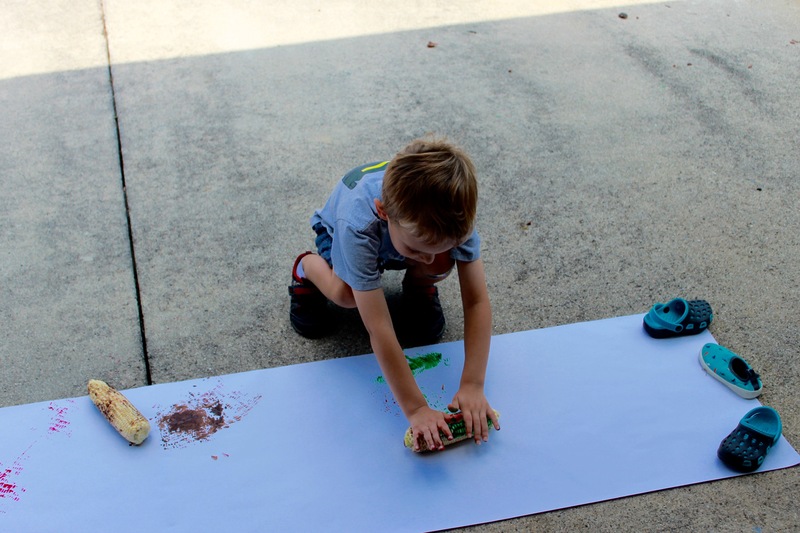 Are you doing any preschool activities at home with your little ones? I’d love to hear what you’re doing – I’m always looking for fun new activities for us so make sure to share! 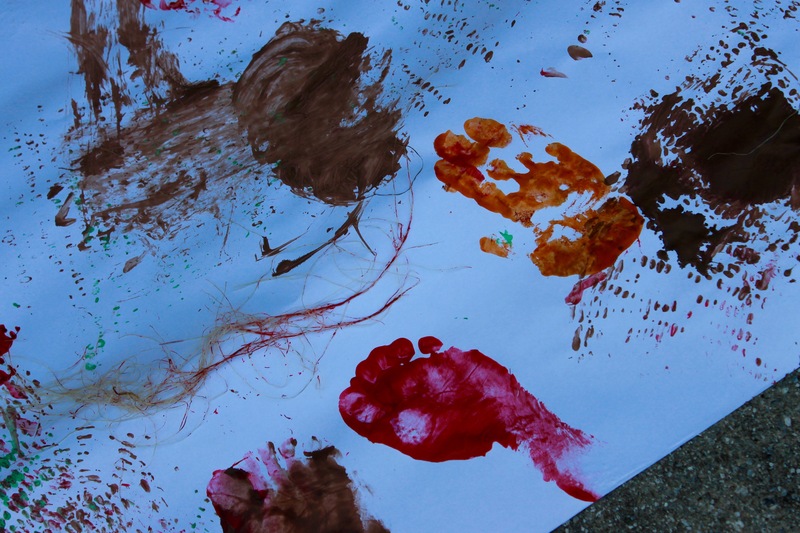 I am a huge fan of hand (and foot) print art projects for kids. They are fun for the kid and I love looking back at how L’s hands and feet have grown over the years. I also think they make cute, personalized gifts and cards! 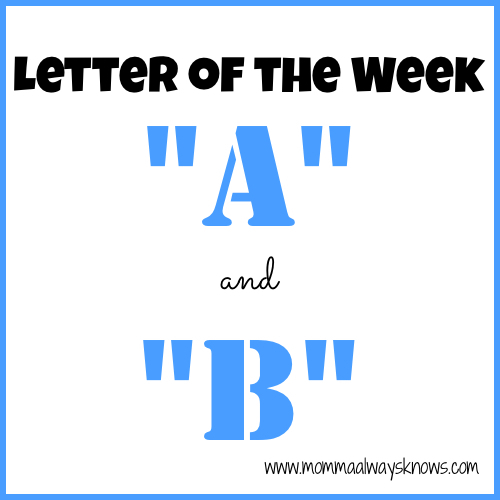 We are doing a Letter of the Week “program” (and yes, I use that word very, VERY loosely!) 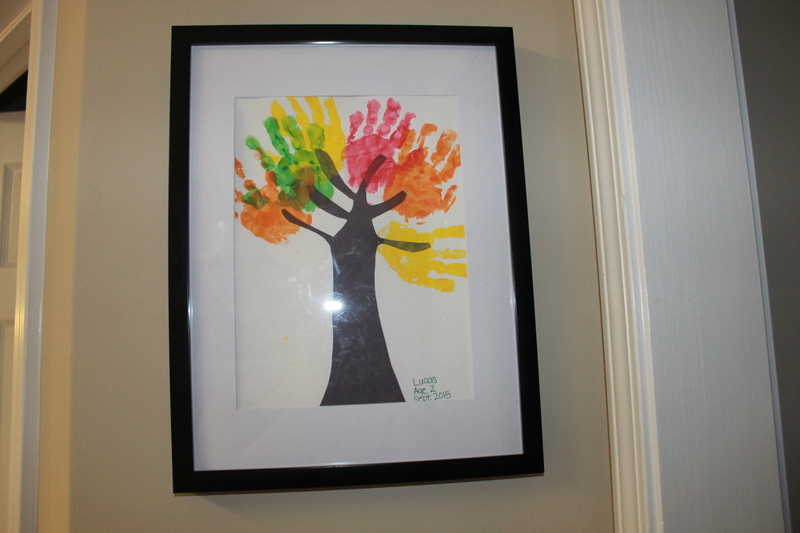 and when we got to “H” I thought a hand print tree would be a fun activity, plus we fit it in for fall and made it one of the fall projects we display in our frame! This was super, easy to do. 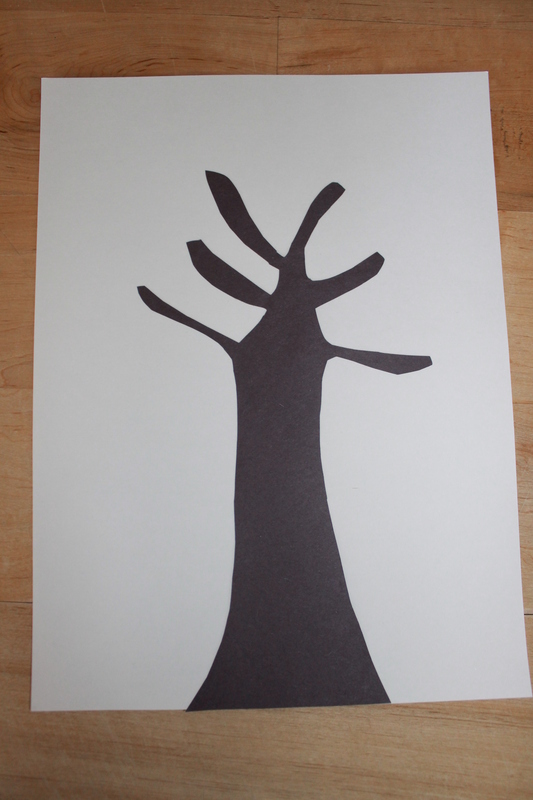 First, make a tree trunk using the construction paper. Mine does NOT look that great at all, but hey, it’s a toddler art project. Glue it onto your white paper. Next I got L all ready to get his hands messy! Because I had six branches on my trunk and four colors I decided to do two of two colors and one of the remaining two. I let L decided which colors we’d use more of! I also used both hands just because (but using one would probably make it easier). Just apply the paint to their hand using a brush and press downward. 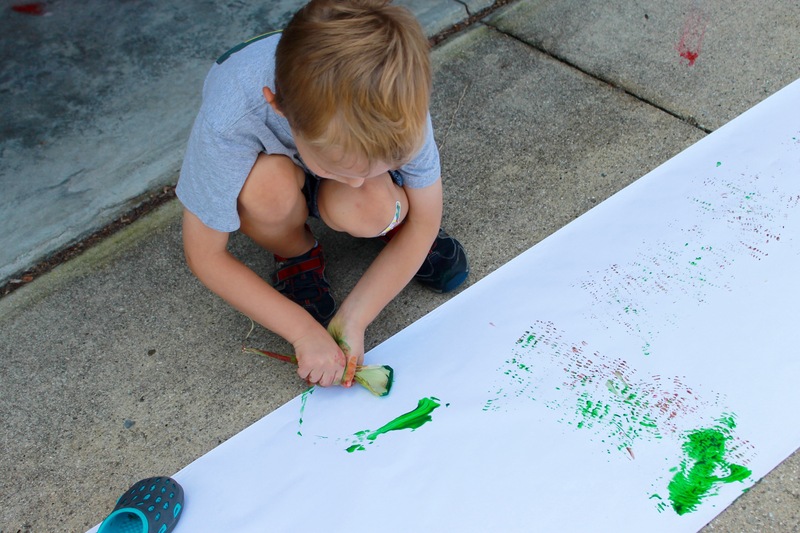 We’ve done a lot of these types of projects so we’ve got a pretty good system at this point, but the first few times doing this with a toddler can be tricky (especially if your toddler is anything like mine!). I just let it dry and that was that! We have an adorable fall tree hanging in one of L’s artwork frames in our kitchen. 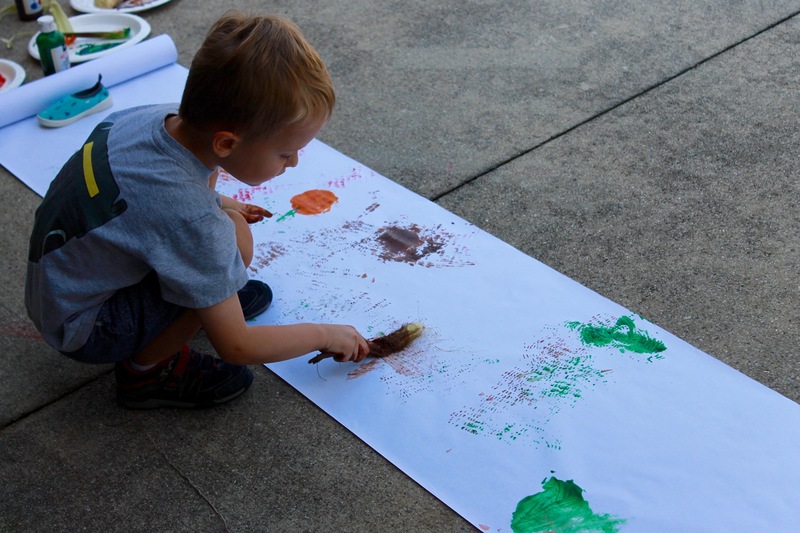 Do you do Hand Print Art? What are some of your favorites? I’d love to see photos! So I’ve had a hard time wrapping my head around the fact that my tiny, tiny little baby is growing up and is a full-blown toddler! 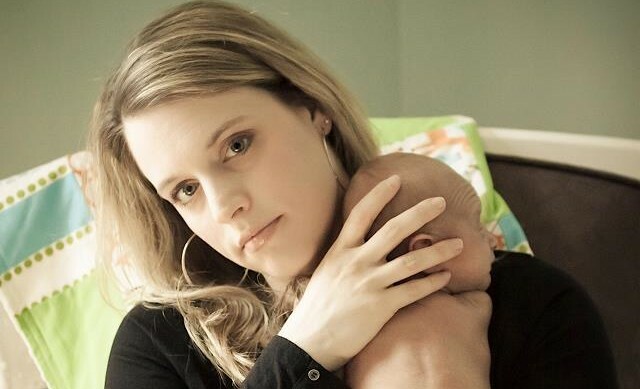 Because I wanted to really savor and enjoy my last few months of it being just Lucas and Mommy before little brother (still to be named) arrives, we decided not to enroll Lucas in preschool this fall. 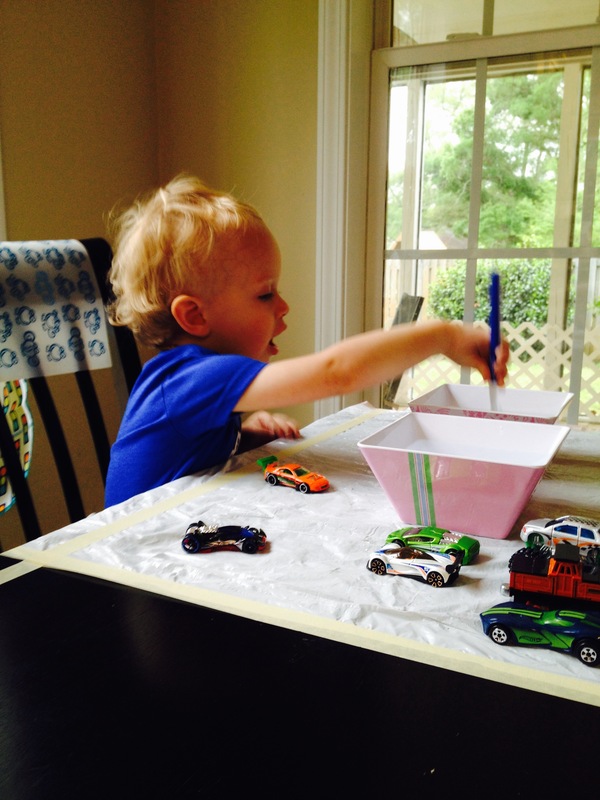 But, I still wanted to make sure we had some “structured” learning (yeah right with a 2.5 year old!) and socialization. 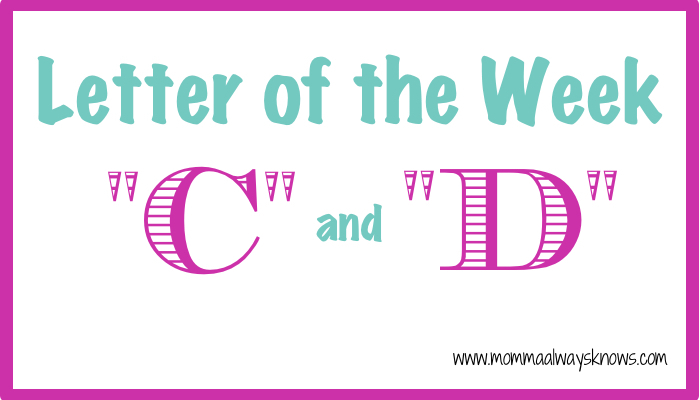 I’ve signed us up for a few classes we are really enjoying and I decided to add a bit more structure to the Letter of the Week activities I started earlier this year (that took a brief hiatus during that nasty first trimester). I want to share what we’ve been doing with all of my mommy (or mommy-to-be) readers because we really are having a blast. I also wanted to say that we don’t put a lot of pressure on ourselves with this (sometime I don’t follow the above list because I can’t come up with things that fit – I try to make it fun for both of us and not something I worry about too much). I get that my kid isn’t even 3 yet! This really helps me plan things for us to do during the day (so I don’t go crazy or rely on the TV too much). Instead of creating a new post for each letter, I’m going to do 2 at a time (I think we’re far enough along at this point). We started with the letters in L’s name but I’m going to just go alphabetically (so your kids aren’t learning how to spell Lucas right off the bat!). 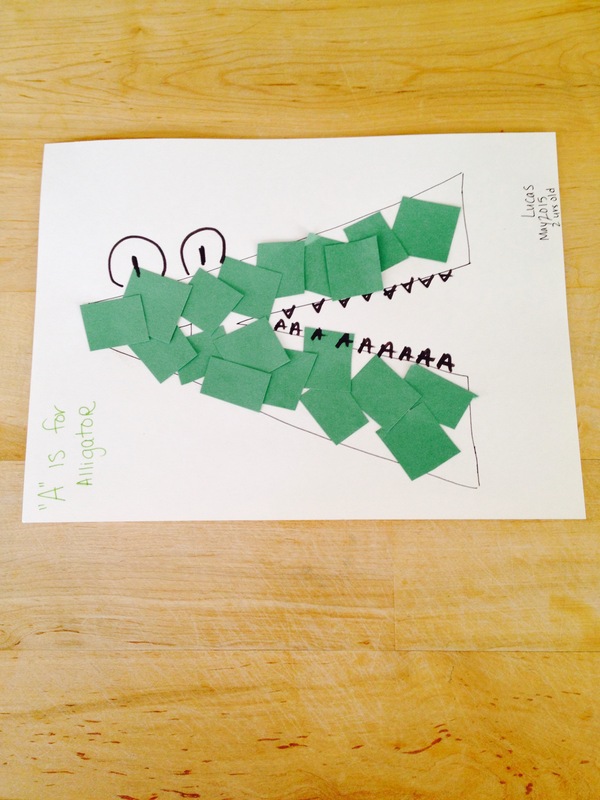 We made an “A” Alligator. 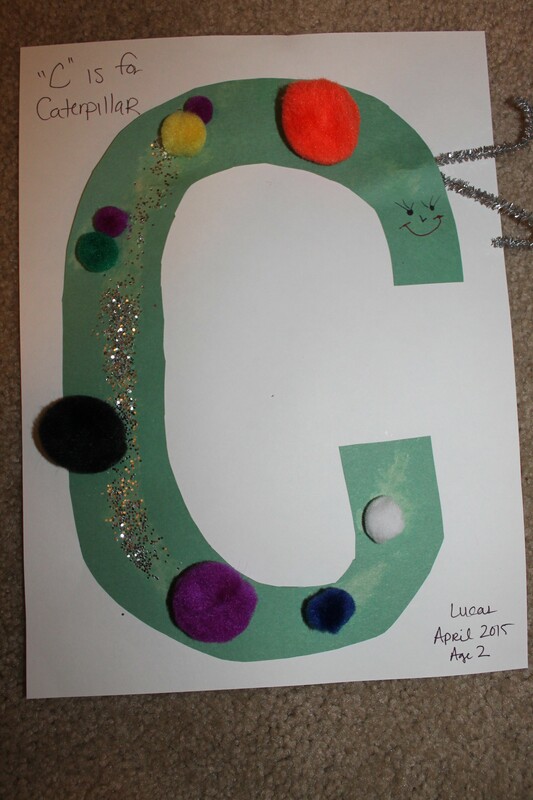 I just cut up bits of construction paper and Lucas glued them on (this was one of our first letters, so I was stilling trying to be “perfect” at this point instead of letting him just have at it). 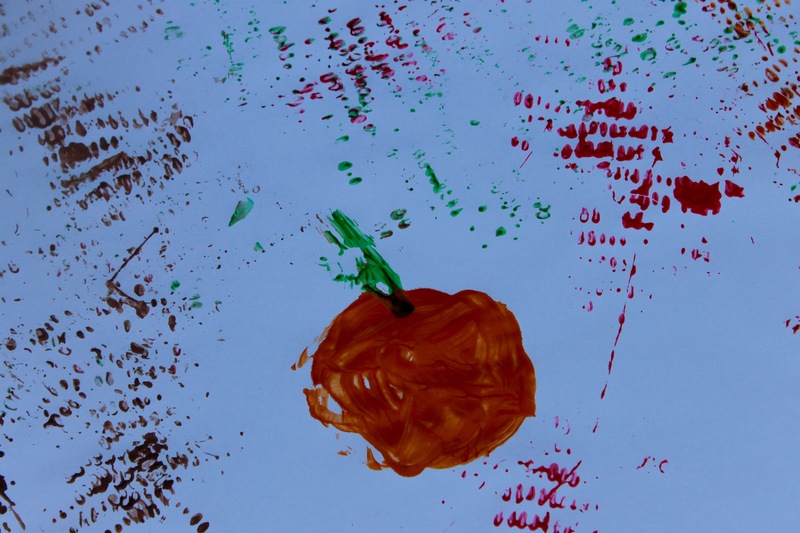 We also did Apple Paining (but I forgot to take pictures – oops!). 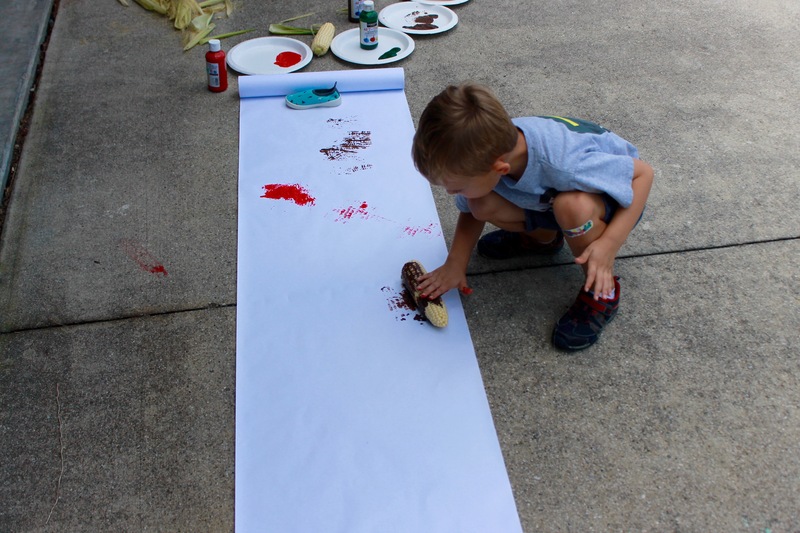 This was really easy – I just cut a few apples in half and let him dip them in paint and then onto paper. This kept him entertained for quite a while. I worked counting in my counting the apple seeds! We did some coloring pages as well – I like Education.com for free printables! We also made Applesauce with Daddy! This one was a ton of fun! 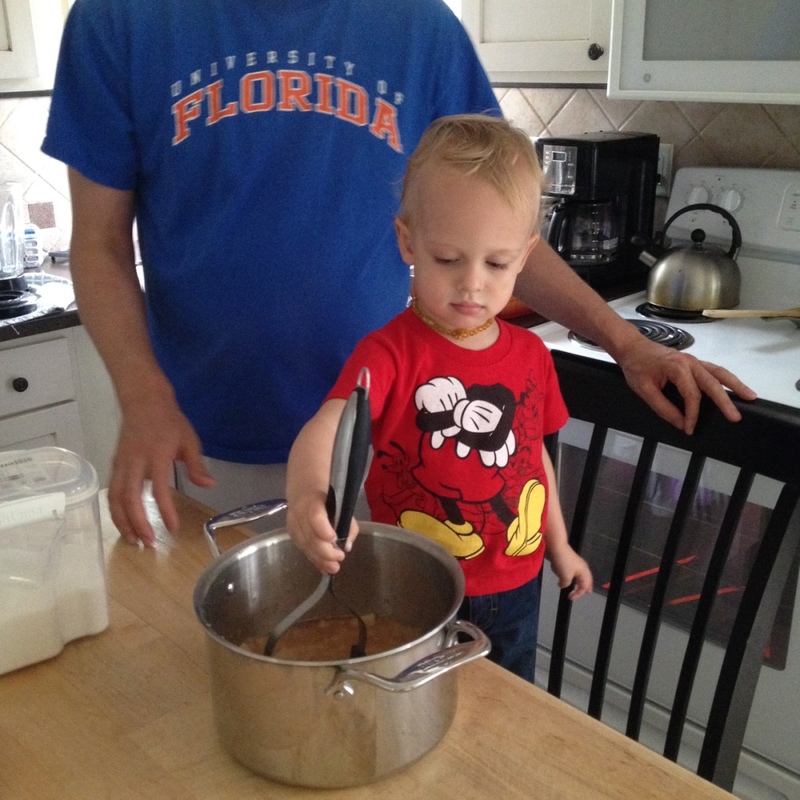 I did most of the work but Lucas LOVED mashing everything up! And it was really easy – I just added about 3/4c of water to 4 peeled and diced apples, 1/4 cup of sugar and a dash of cinnamon and cooked on the stove until soft. Once that was cooked Lucas went to town with the potato masher! 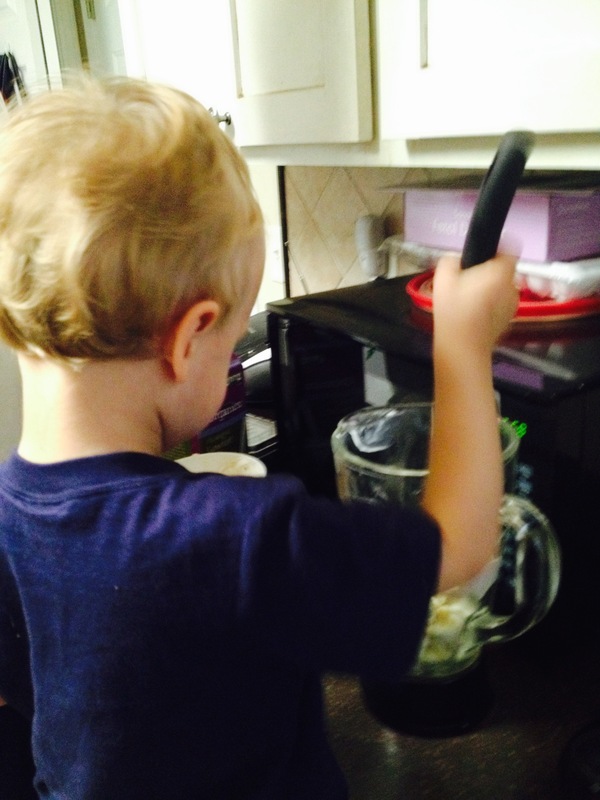 It was a tad chunky but we loved it – and Lucas loved that he helped make it. **I’m going to preface this by saying Lucas is REALLY into butterflies but there are LOTS of other “B” things out there! 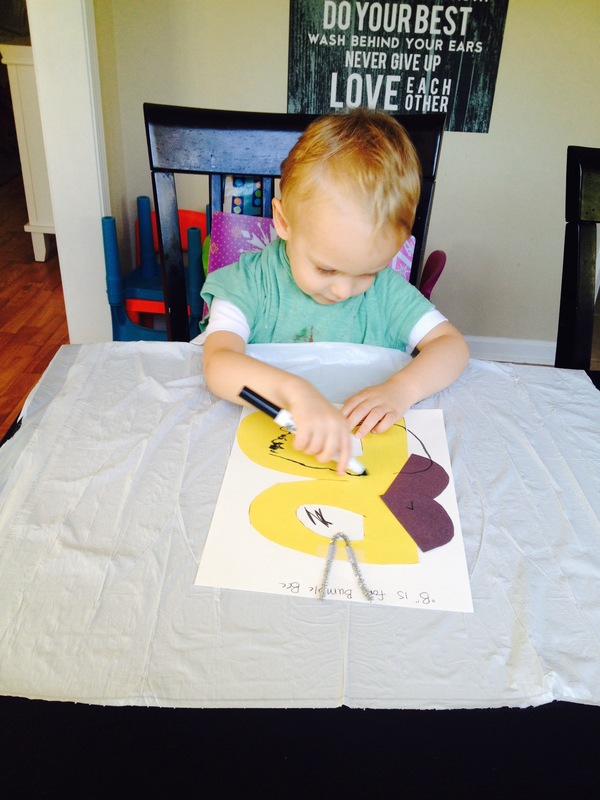 We made a Bumble Bee out of the letter B. I used yellow construction paper for the B and cut out wings from black. I used a pipe cleaner for us make the antenna. I gave L a black marker to add the stripes but you can see that wasn’t exactly what he wanted to do. By this point I had stopped trying to be the “perfect Pinterest mom” and just went with it! 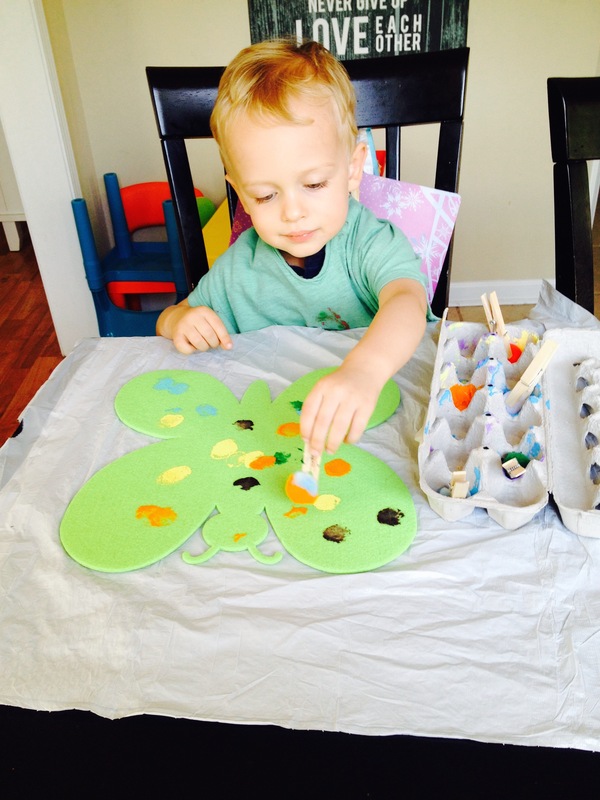 We also did some Pom Painting on a Butterfly. I found the butterfly at Walmart in the craft section for like $0.49. 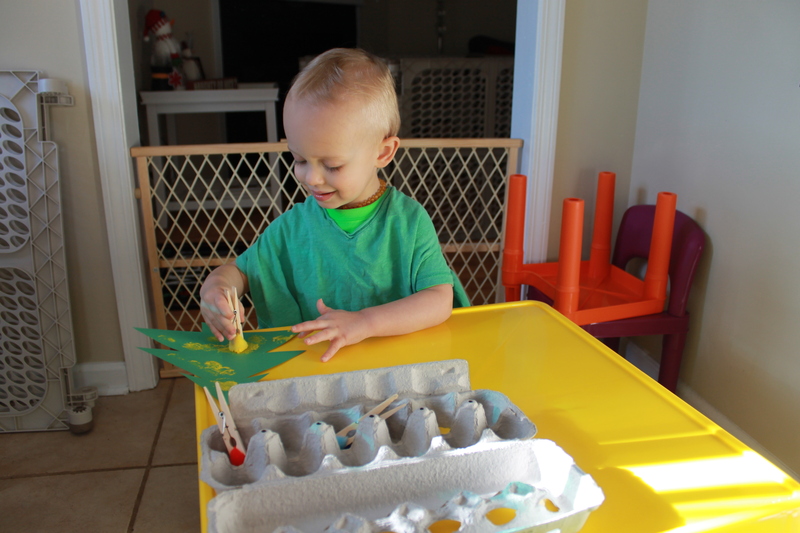 A few clothespins, poms, an egg carton and paint and we were in business. Our counting activity was counting butterflies (see the pattern). My mom found some plastic butterflies on Amazon a while ago and we would line them up and count them. It was super simple but I can tell he’s really stating to “get” the point of counting (and can actually count things pretty high – not just say his numbers). 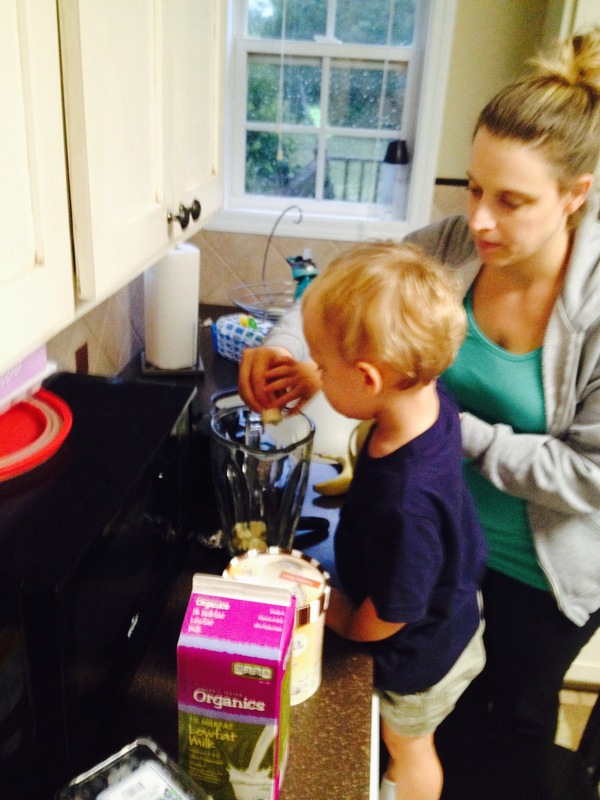 For our food we made Banana (or Blueberry for Daddy) milkshakes! 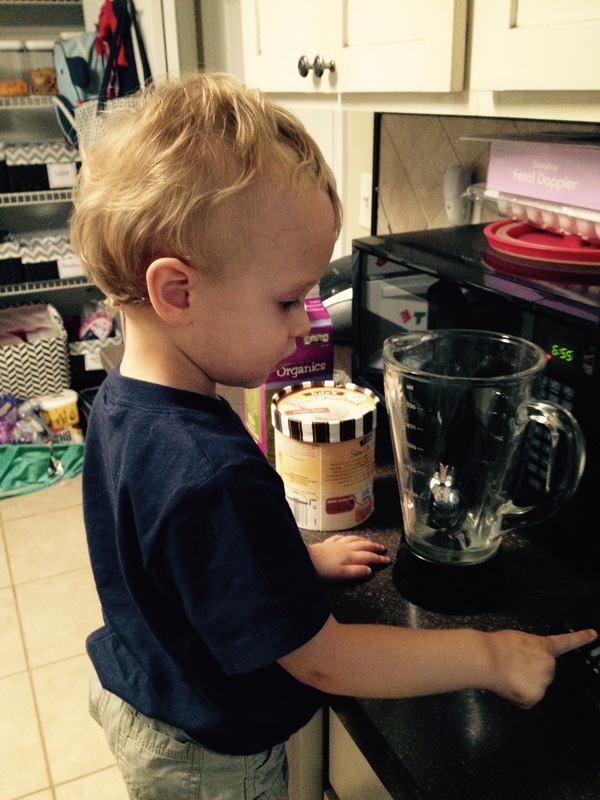 Lucas loves helping with the blender and he LOVED his milkshake! We drank them while we watched a Bubble Guppies episode as a family! Like I said, I’m keeping it pretty simple and trying to incorporate it into our daily routine. I am starting to see it paying off for sure. Just the other day Lucas told me “D” is for Dinosaur and “E” is for Elephant and I was really impressed. 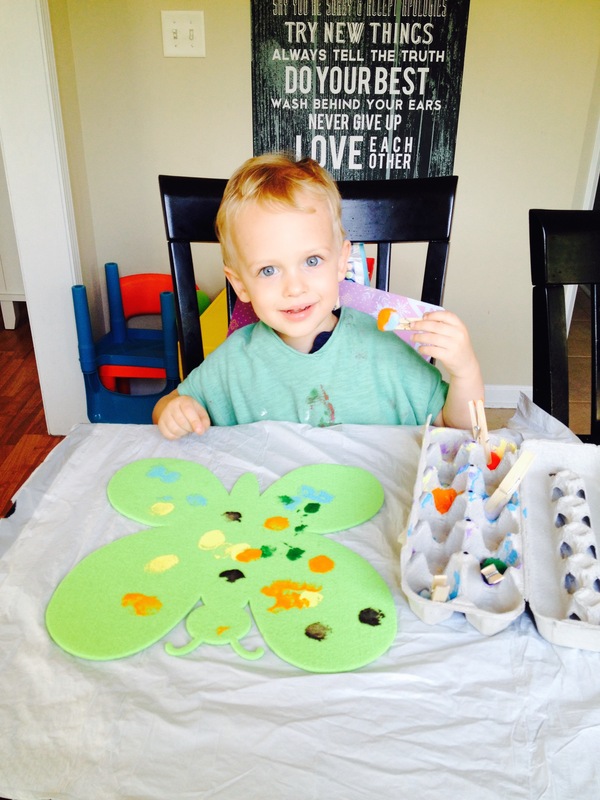 I’m always looking for fun crafts to do with Lucas – and the holidays give me that extra push to do something he’ll really enjoy – and it’s something that I can keep forever, bringing out every year until he is well past 30! Painting is big in our house right now and Lucas loves to “dab.” I thought Pom Painting would be the perfect activity for him. Hopefully your little one will enjoy it too! 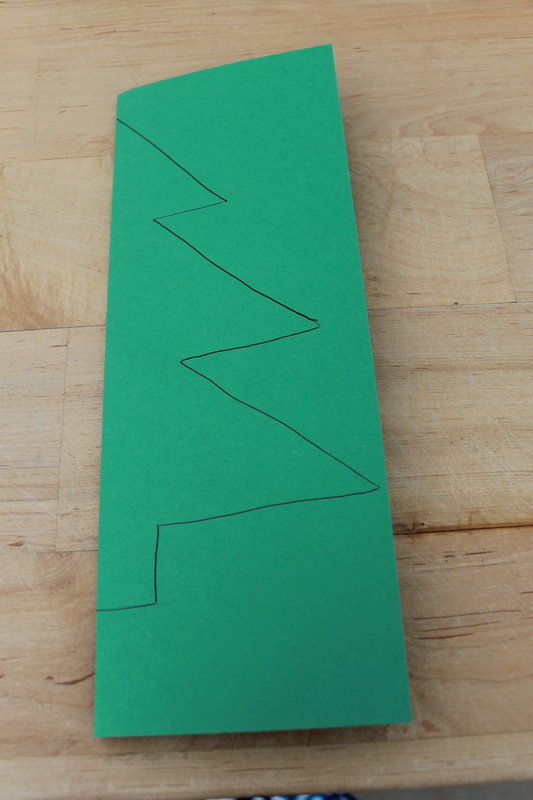 First, fold your construction paper in half lengthwise and draw half of a Christmas tree along the folded edge (I am SO not an artist!). 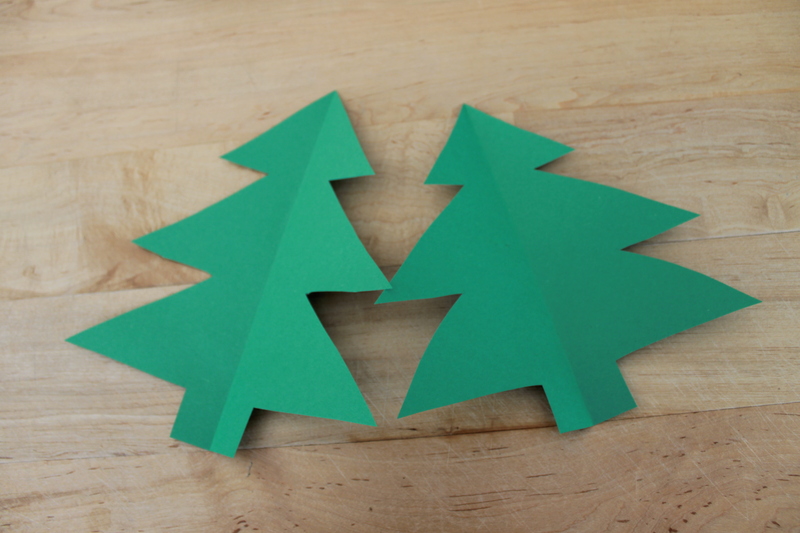 And cut out your tree(s). 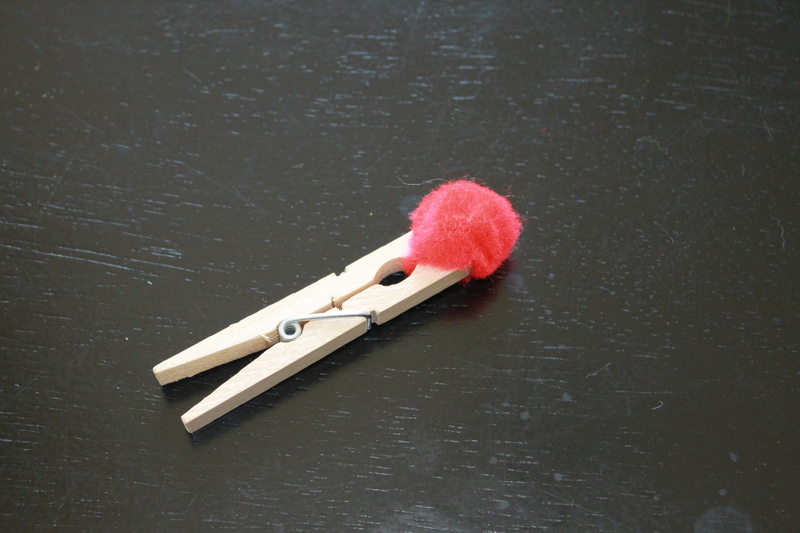 Clip a pom with your clothes pin. I matched the pom color with the paint because Lucas is super into naming colors right now (and hearing him say “yell-yow” is just precious!). 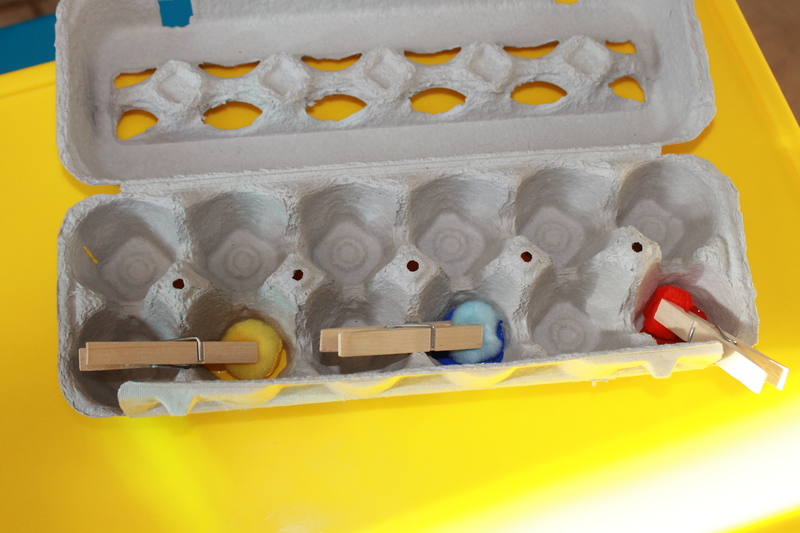 Next, place some paint in the cups of the egg carton. 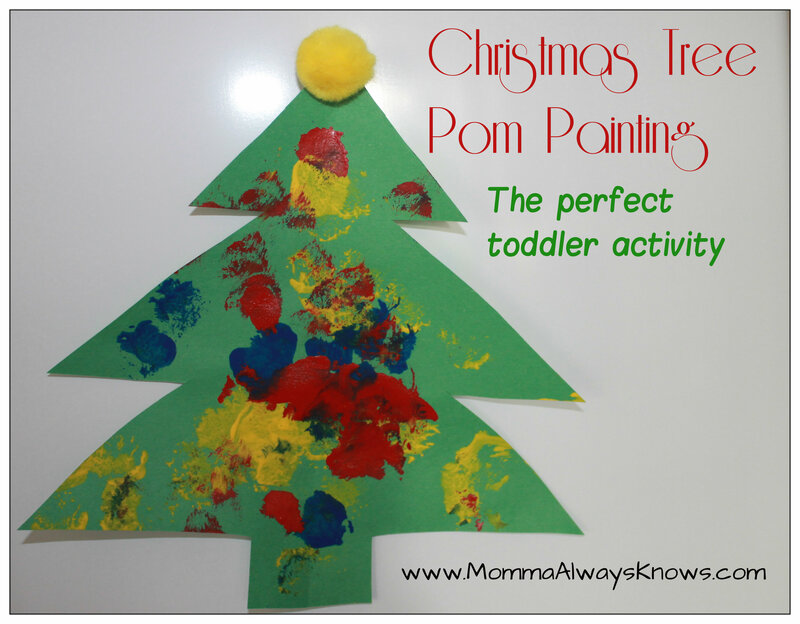 Use the pom, dipped in paint, to create “ornaments” on your tree. Lucas LOVED this part! Look at that concentration. 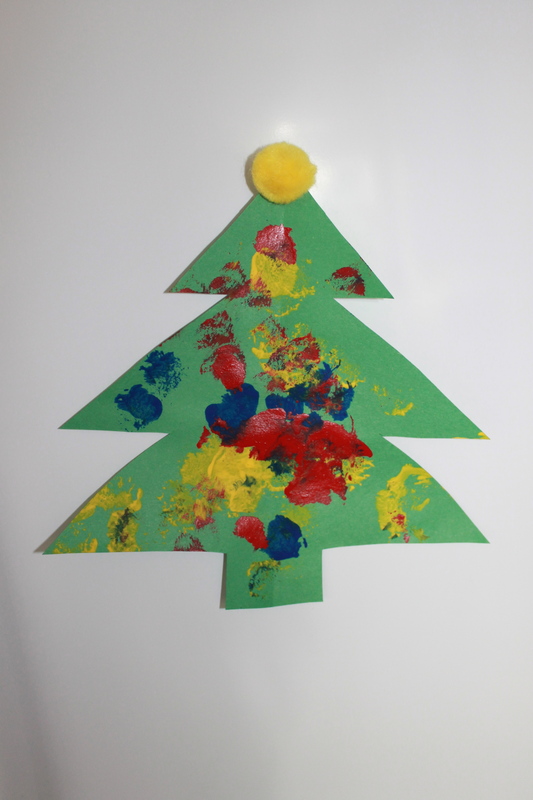 Once your paint has dried, glue a yellow pom to the top of your tree as as star. Lucas was so proud of his finished product. And this was an easy but fun craft for us to do together! 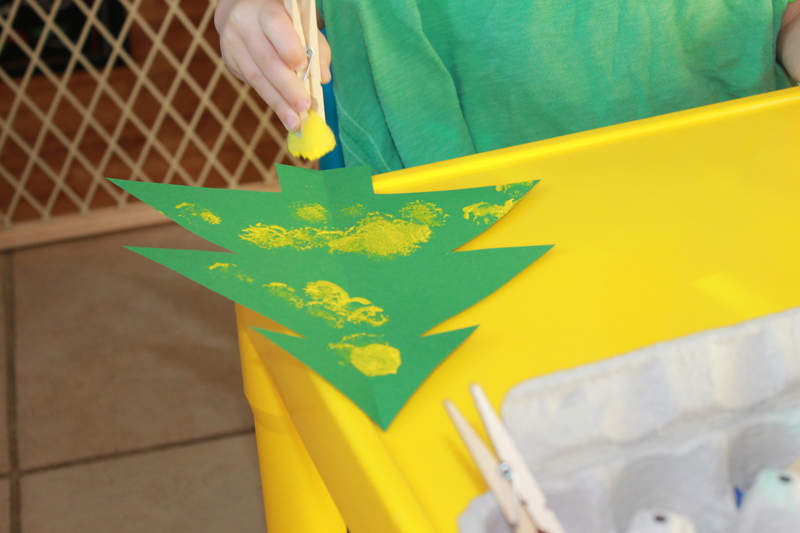 What are you creating with your little one’s this holiday season? I’d love to see what you’ve been working on. Share in the comments! Why Wait?! : What Does January Have That December Doesn’t? Setting Yourself Up for a Successful Week in 30 Minutes!